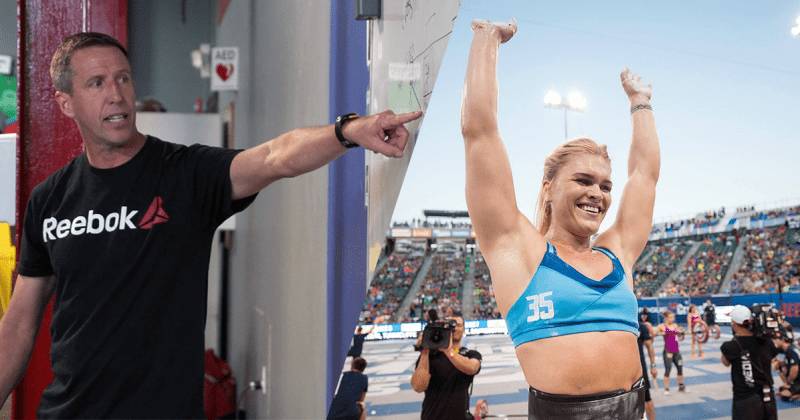 Endurance Coach Chris Hinshaw and Fittest Woman on Earth Katrin Tanja Davidsdottir are coming to Berlin for the Aerobic Capacity Seminar on Saturday, November 7th! Join Coach Chris Hinshaw and learn how to identify, assess, and develop your resistance to fatigue. Participants should be prepared for a simplistic approach to advanced endurance training. The seminar is appropriate for coaches, trainers, and athletes looking to create a more robust and efficient aerobic system. Coach Chris will detail how he integrates various training methodologies into CrossFit programming in order to maximize overall athletic performance. You will leave this seminar with a better understanding of developing your cardiovascular engine and improving your resistance to fatigue, as well as how to apply this knowledge to a training scenario for CrossFit athletes. A former All American swimmer and an experienced professional triathlete with top international finishes including a 2nd place overall finish at the Hawaiian Ironman World Championships, 2-time member of Team USA at the Hawaiian Ironman, 2nd place overall finish at the Ironman World Championships in Canada, and a 1st place overall finish at Ironman Brazil. He has been a CrossFit athlete for 6 years. He specializes in endurance coaching for the CrossFit athlete. Coach Chris is the endurance coach to more than two-dozen Games athletes including Camille Leblanc-Bazinet, Rich Froning, Jason Khalipa, Katrin Davidsdottir and Julie Foucher. Chris is a CrossFit Level 1 trainer, CrossFit Competitor Course certified, CrossFit Endurance certified, CrossFit Mobility certified, Certified Rocktape Doc, brUTE Strength Coach, Vivendi Lab Scientist, and coach at NorCal CrossFit. 1. Learn how fatigue develops & limits athletic performance. 2. Maximize cardiovascular fitness by creating an optimal balance within the metabolic pathways. 3. Understanding and applying aerobic capacity,lactate threshold, and aerobic threshold based training. 4. Speed endurance and strength endurance training protocols to increase overall work capacity. 5. Assess and identify an athlete’s anaerobic capacity and aerobic efficiency. 6. Creating individualized “paced” workouts and heart rate based programming. 7. Understanding and performing the dynamic warm-up. 8. Muscle fiber review, assessment, recruitment, sequencing, and endurance development. 9. Incorporating modern endurance training methodologies into the CrossFit constantly varied, functional movements. Yes. This seminar is appropriate for coaches, trainers, and athletes of all levels who are familiar with CrossFit. No prior experience with endurance coaching and/or training is required to attend this seminar. In addition, you do not need a valid CrossFit Level 1 Trainer Certificate. However, we recommend that all participants have taken an on-ramp or introductory course at their local CrossFit gym. 1. We will be doing 2 workouts during the seminar. Participants should bring workout clothes,running shoes and/or workout shoes. 2. A wristwatch with a stopwatch function or hand held stopwatch that will be used during the interval workout and pacing lecture. 3. The pacing for the interval workout will be based on your current level of running fitness. If possible, please come to the seminar knowing your current 400m & mile max effort times. 4. Participants are welcome to bring notebooks, tablets, laptops, and take pictures. We encourage you to share all that you’ve learned.